BOXYCHARM ($21) theme for August is EXPRESS YOURSELF and is full of beauties that allow you to do just that. If you are not familiar with BoxyCharm. 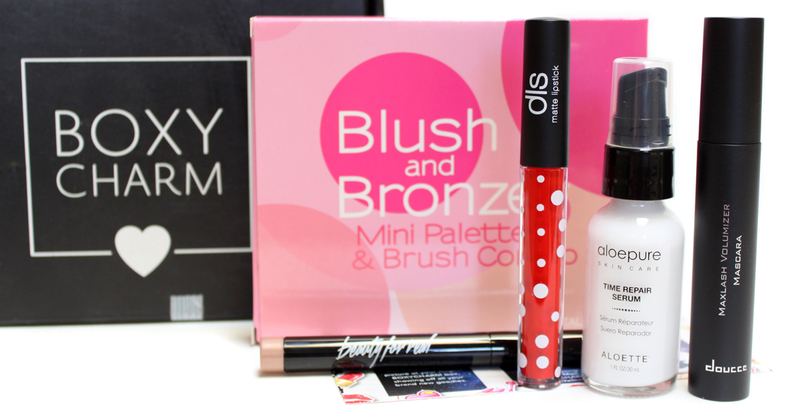 They are the best beauty box around that is still worth subscribing to. For $21 a mo. five full size beauty products with over $100 value will land in your mailbox each month. Here is what August had to offer! 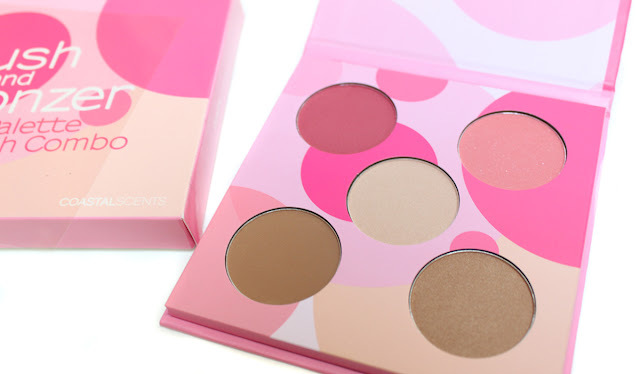 Everything for a stunning face, all in one palette. Made up of bronzer, blush, and highlight for an all in one look. It also includes its own mini brush. Coastal Scents? Is this 2007? This palette is your typical generic palette blush/bronzers. With three higher value products in this box I can see why they included it so no biggie. Time Repair serum is a powerful age-defying skin care complex fortified with alpha and beta hydroxy acids to smooth away dead skin cells and powerful protective antioxidants. 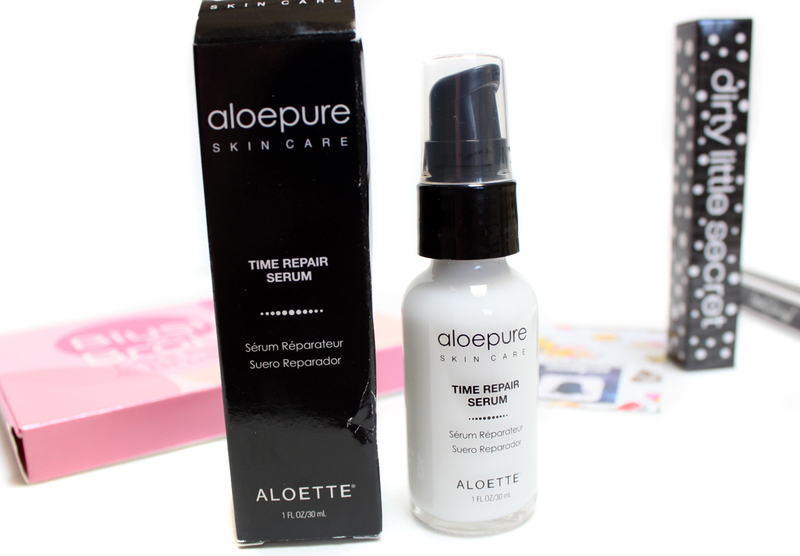 I am a skin serum junkie and I can't wait to try this out! This long lasting velvet matte liquid lipstick is an intense vibrant orange red. Even though I feel a little over the matte liquid lipstick trend I always like trying out new brands I have never heard of before. It's also very inexpensive at only $10 in comparison to most liquid lipsticks out now. How fun is the packaging? Polka Dots on lipgloss just says hi I'm fun. This creamy and vibrant formula creates a khol effect leaving your lashes thick, extremely volumized, and fashion forward. Well that's what they say. I on the other hand found this mascara lackluster. 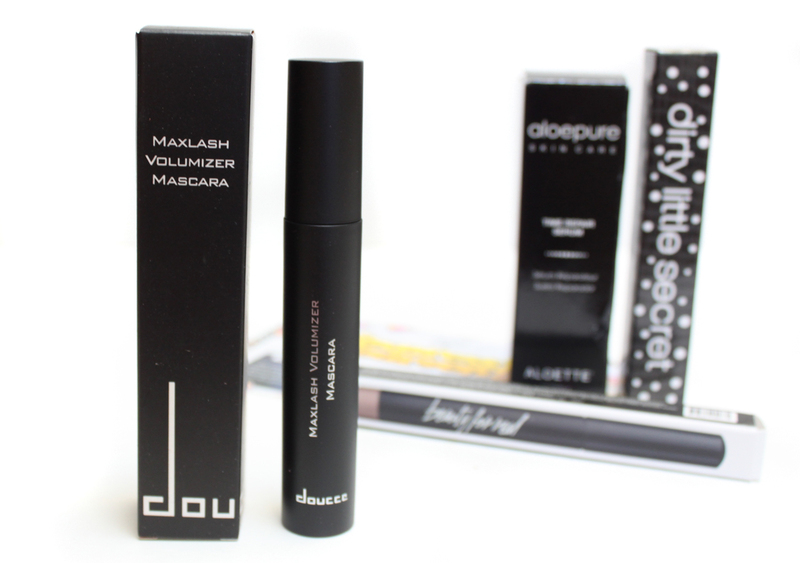 It didn't add any volume to my lashes and was pretty basic for the price point. I gave it two tries before it was retired to the mascara graveyard. Making this whole box worth it this month was the Beauty For Real Shadow Stix. This long wearing cream-to-powder eyeshadow stick is easy to apply and infused with ingredients to keep your eyes looking and feeling great. Ever Starstruck is a beautiful soft shimmering champagne gold. It looks amazing worn alone on the lids. With the Summer heat cranked up here to 90 I have been opting for as little makeup as possible and this has been on my eyes since I got it. The soft gold illuminates the eyes and looks so fresh. I wore this in extreme heat and it didn't fade or budge. It also makes an excellent eyeshadow base. I hope they release 20 shades of these because they are one of my new favorites for the eyes!